I'm sure you have already inhaled all of the Met Gala red carpet photos. Yes, Rihanna KILLED it in that 3D Rei Kawakubo Comme de Garcons dress. That dress was also in the exhibit that actually is the reason for what the industry calls "Fashion Prom." The reason it was so spectacular was that it was an example of the artistic, intellectual fashion genius that is designer Rei Kawakubo. I am always more interested in the Metropolitan Museum of Art Costume exhibit than the gala that celebrates it. 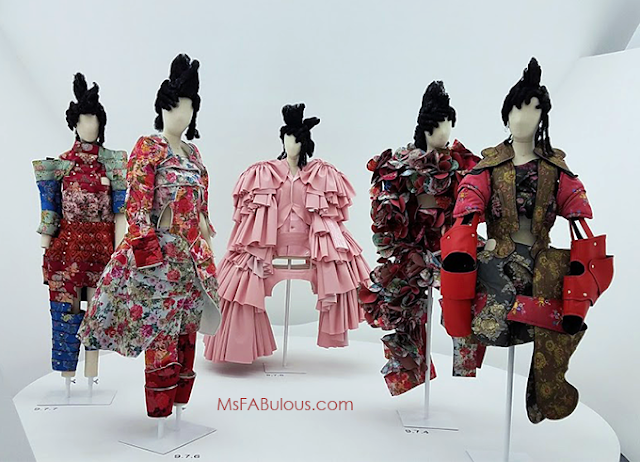 Rei Kawakubo / Comme des Garcons: Art of the In-Between had about 150 looks, each more interesting than 95% of the dresses I saw on the Met Gala red carpet. Kawakubo, in the last four decades that are covered in the show, changed how fashion was viewed. Instead of clothing designed to be flattering to the body, she redefined how the human silhouette was viewed by distorting it. 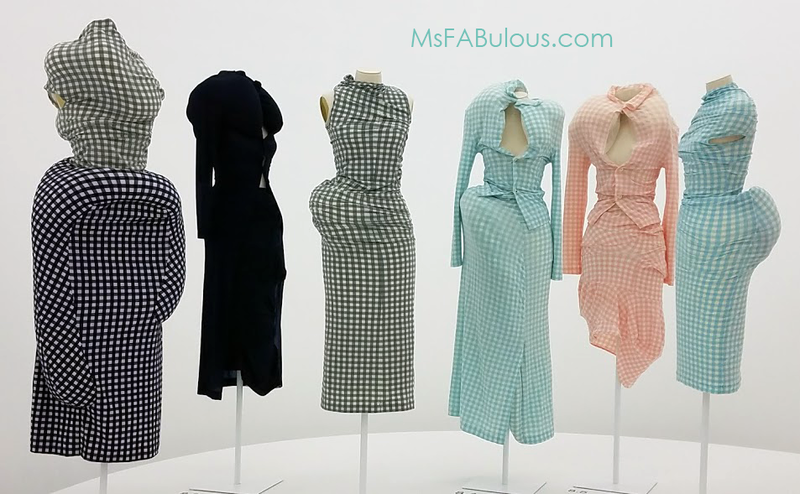 Instead of constructed tailoring, she was one of the driving forces behind the DE-construction trend of the 1990s. The designer also introduced radical manufacturing techniques, pairings of near impossible materials and redefined fashion as an art form. This exhibit was certainly less theatrical in presentation than both the China Through the Looking Glass show and Alexander McQueen. I completely agree that the best showcase for these incredible wearable art pieces was to keep it stark and minimal to let the clothing shine. 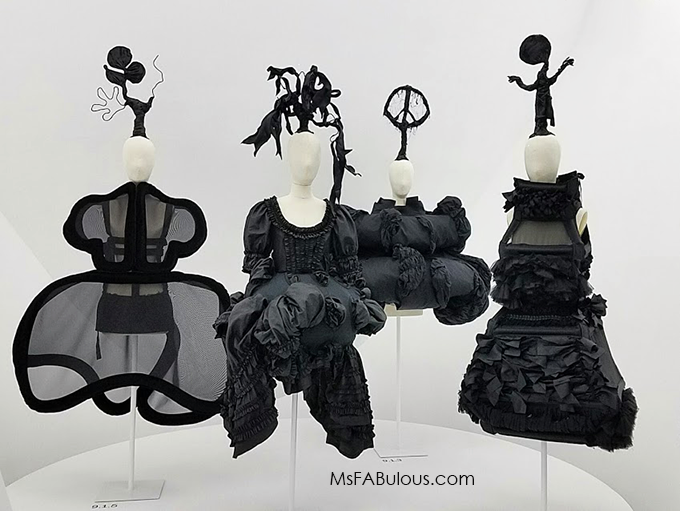 One assumes these are tough pieces for real people to wear, but many people at the exhibition preview wore their favorite Comme des Garcons pieces as fans. I asked one woman how it felt to wear these pieces. She said it was thoughtfully designed and surprisingly comfortable with hidden elastics and cozy fabric. At the Met Gala, the winners of the red carpet are the guests who nail them AND manage to look great. Rihanna once again won the night in current Comme des Garcons. The color was great and showed off her legs. Nicki Minaj wore custom H& M that had Rei Kawakubo's face on it. Rita Ora wore a stunning Marchesa gown that was elegant but still looked edgy with the satin bows twisted and wrapped at unexpected angles. Katy Perry will no doubt earn the most memes this week. She took a chance on wearing John Galliano for Martin Margiela. This was avant-garde and unusual by a fashion bad-boy designer for an edgy label. However, the veiled look covered up Perry's usual charisma and was not flattering to her bangin' body. Katy Perry was perfectly within theme though. Kawakubo mocked her own notions of good taste and bad taste, lumps, and bumps by designing outfits that were deliberately unflattering. It forced fashion fans to explore all of those cliches and appreciate each piece on its merits. 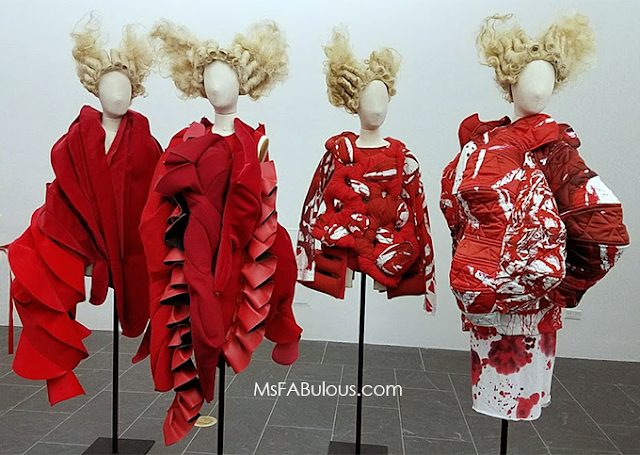 I really enjoyed Rei Kawakubo / Comme des Garcons: Art of the In-Between. Almost all of the pieces were new pieces at the museum for me. (Previous shows seemed to recycle looks from the past). The open plan, minimalist staging let you get up close to the pieces and really see how radical the clothing construction was. Could you wear these looks? If they were not particularly flattering, would you still wear it for the artistic value?